First, the good news: Per a 2016 Medscape radiologist lifestyle report,1 radiologists ranked near the top of the scale among physicians who exercise twice a week or more. With respect to being overweight to obese, radiologists ranked lower than average, at 36%. That said, at 27%, radiologists also ranked near the bottom among physicians who reported being either very or extremely happy at work, and they are far less content than they were in 2014 (37%). Radiologists were above average among all physicians on severity of burnout. Among radiologists, burnout increased between 2013 and 2016 in men (from 35% to 48%). The increasing number of bureaucratic tasks, volume of studies, and extended work hours were all contributory factors. As a profession, we radiologists may be more prone than other physicians to performing less physical activity during work hours. For one thing, we don’t do rounds. Internists and surgeons, on the other hand, have been reported to walk an average of over 500 steps per hour.2 In general, we also now perform fewer fluoroscopic procedures. We no longer need to go to the file room to retrieve film jackets. We also still tend to spend a lot of time sitting in the dark. The volume of studies is steadily increasing and the rate of images-per-study is growing exponentially larger—yet turnaround times are becoming shorter. In our practice, we recently extended our work hours yet again to meet clinical demand. You don’t need me to tell you that interpreting images from a workstation is akin to watching TV or playing video games. Ample evidence links a sedentary lifestyle with increased risk of heart disease, diabetes, cancer and even depression. That was certainly true in my case. I received a diagnosis of diabetes a year ago. But after recovering from the initial shock, I began to focus on improving my diet and activity levels. I started moving more and have not stopped. Thus, I am delighted to report a 30-pound weight loss along with normalization of my blood glucose and my HbA1C levels. Take a stand. Standing increases energy expenditure by 13% over sitting. In recognition of this and other research into the benefits of standing, growing numbers of facilities are providing standing workstations. Help out in the imaging suite. Whenever possible, help move patients at the CT scanner. It’s strenuous activity and what’s more, it’s the right thing to do. Get on the treadmill. It is possible to install small treadmills and elliptical trainers in reading rooms. A study by Fidler et al3 showed the feasibility of interpreting abdominal CT studies using a walking workstation without sustaining a significant decrease in diagnostic accuracy. Take a walk—or two or three. Take regular breaks from sitting in place for prolonged periods of time. Walk to your patients rather than making them walk to you to discuss the results of their studies. Surely, older radiologists remember the days of daily rounds at the viewbox with clinical colleagues. Another idea is to schedule a daily lunch hour walking routine with your department staff. Tackle the stairs rather than get on the escalator. Watch yourself. Monitoring your level of activity with inexpensive, wearable digital pedometers, phone apps, or other devices can help motivate you. They can record metrics of physical activity such as the number of steps or miles walked, flights of stairs climbed, and number of hours spent engaged in physical activity. Fitness experts generally recommend striving for at least 30 minutes of vigorous physical activity per day as a starting point. Comparing your performance with that of friends may provide further incentive for continuing, modifying and improving your own activity level. I can write from experience: We radiologists owe it to ourselves to move into a more active, health-improving life—and work—style. 2016 Medscape Physician Lifestyle Report: Bias and Burnout. Medscape. Available at http://web.md/2fsgQor. Accessed February 9, 2017. Richardson ML. Wellness in the radiology reading room: Making your workstation a workout station. AJR Am J Roentgenol. 2014; 203:627-629. Fidler JL, MacCarty RL, Swensen SJ, et al. Feasibility of using a walking workstation during CT image interpretation. JACR. 2008;5:1130-1136. Huynh P. Keep moving for personal and professional success. Appl Radiol. 2017;46(3):4-5. 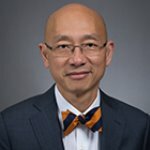 Dr. Huynh is the Medical Director of the Women’s Center at Baylor St. Luke’s Medical Center, Houston, TX.